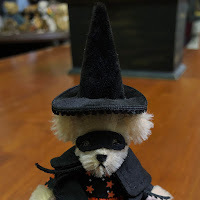 We love Teddy Bear Witches! 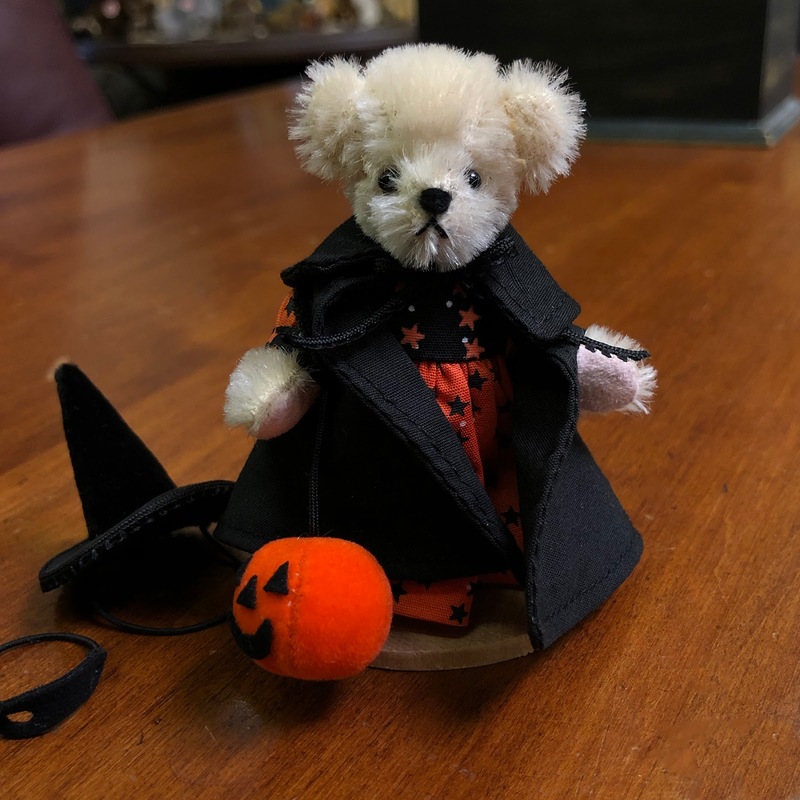 Enter to win this cuter-than-cute Halloween bear to be yours. A long-ago retired piece from North American Bear Company, this 3-inch miniature mohair witch has it all... hat, mask, pumpkin, seasonal dress, great expression... and a cape daahhling! Send your entry in the form to the right & we will draw the winning entry on September 15th.